Sunday mornings we have a children's nursery available for families with small children ages 16 months through four years old. 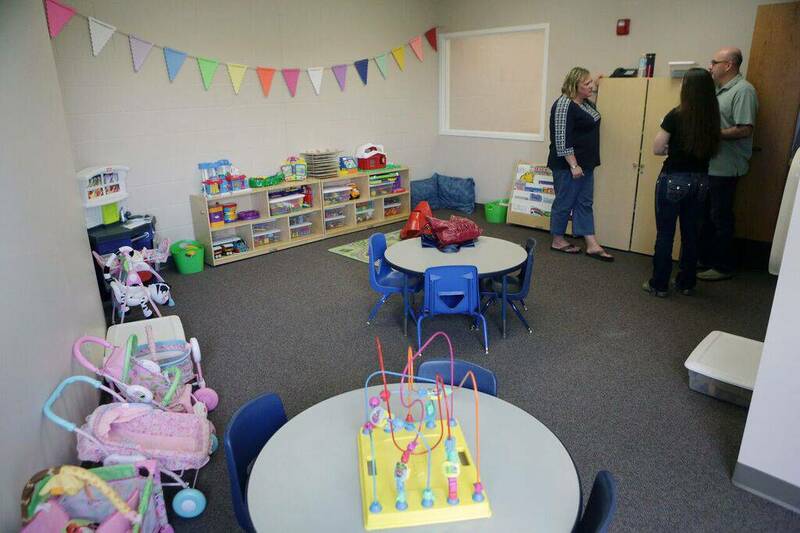 The nursery serves up to ten children at a time and spaces are first come first serve. The nursery will be open 10 minutes prior to Mass for check in. If your son/daughter is not yet potty trained, please leave a diaper bag when you check them in. The nursery is located in the education center (new part of the building) near the elevator on the main level.